It's that time of the year again: the holidays are over, and your work week is back in full swing. However, it's almost impossible to stay focused this time of the year because of all the big football games happening, not to mention the biggest game of the year is right around the corner. But where are you going watch it? Watching the Superbowl alone just doesn't have the same appeal as watching it with a group. But on the other hand, watching the game at your friend's house who feels the need to serve up those nasty, reheated wings is not much of a draw, either. Fear not, fellow football fan, because we've compiled a list of the best watch parties in Austin so you can enjoy the Big Game the best way possible! Just north of Downtown stands a newly renovated bar, but this isn't just any bar: Hanovers 2.0 is over 7,000 square feet of fun, and they're upping their game for the biggest one of the year! They'll be showing the Big Game on two giant screen projectors along with multiple TVs all throughout the bar. Along with food and drink specials, the watch party has free admission so you can bring your whole squad. If you're feeling bougie, Hanover's also offers VIP seating so you can watch the Big Game in style. Watch one of the year's best games at one of Austins best family-friendly sports bars. What's more exciting than watching the Big Game at a bar on everyone's favorite Sunday? The answer is simple: watching the game on the wildest street in Austin, 6th street! Dirty Dog Bar will be hosting a watch party with potluck-style food, drink specials, and games to keep everyone preoccupied while you're zoned-in on the game. After the game, you can easily go out and have a celebratory drink or drink your loss away (depending on which team you're pulling for) by bar-hopping all over 6th Street. Get a little wild this year and visit the Dirty Dog for the Big Game! While going to a bar to watch the Big Game is fun, at times it can seem a little lacking of comforts that you'd experience at house-hosted Superbowl parties. Lucky for you, Whisler's on west 6th Street has you covered. Along with showing the game on three large screens all throughout the bar, Whisler's will be supplying an array of chips and dip along with the staple of any sports-related party, hotdogs, and hamburgers. Whislers will also have mascot-themed cocktails so you can cheer on your team every way possible. Cheer on your team at an iconic West 6th Street bar! No matter which party you go to, one thing will always be in attendance: hearty food. When it comes to homemade party food, there's always the good, the bad, and the ugly. 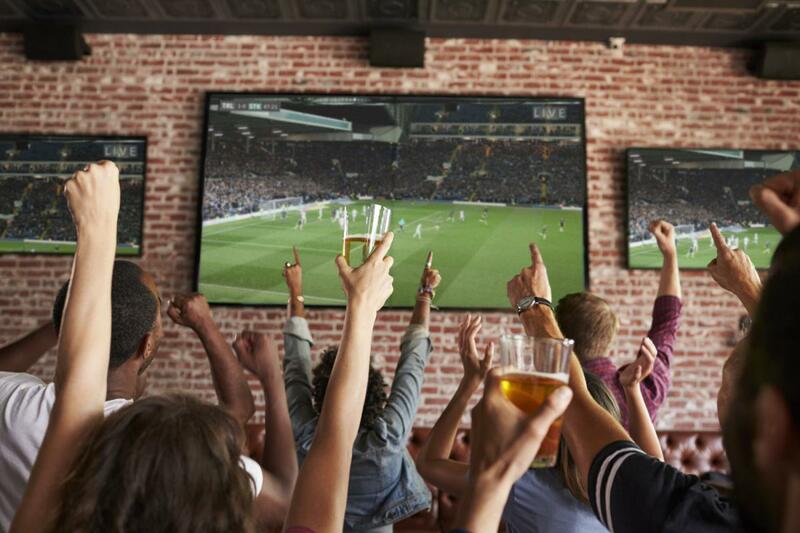 Why not voice your opinion during the Big Game at the Craftsman? This Austin bar will be hosting a chili cook-off among local breweries where onlookers are encouraged to sample and vote for their favorite chili. Along with the cook-off, the Big Game will be showing all throughout the bar. Brace yourself for some hearty heat and visit the Craftsman to be the food critic you've always aspired to be! Wherever you decide to scream at the TV during the Big Game, save your voice for the game recap that follow the final points. Find more events in Austin like watch parties by registering on 512area, your free guide to the Austin area.